Attention all music lovers and patrons of the arts! We urgently need your assistance! In an era where music, among other creative endeavors, has been devalued as mere “content,” freely accessed through the new digital medium, the very survival of those who create music and art and culture has been threatened. Bassist, iconic producer, and sonic visionary Bill Laswell becomes the latest legendary talent to fall victim to the vagaries of these crazy times. Beset by health problems while trying to navigate this harsh and uncertain economic landscape, Laswell is struggling to maintain Orange Music, the legendary New Jersey studio that he as helmed for the last 20 years. He is putting the call out to all fans, friends, and fellow artists alike: If you can help, please do so now. No contribution is too small. As an artist and producer, Bill Laswell really needs no introduction. Though he has operated largely out of view of the pop charts, he has managed to collaborate with the giants in practically every genre of music—from Miles Davis to Mick Jagger to Bob Marley to name but a few. At the peak of his commercial success, he even produced the Grammy-award winning hit “Rock It” for Herbie Hancock in 1983, one of the first songs that helped hip-hop crossover to the mainstream. At this point, he could have moved to L.A. and cashed in, but he chose to stay in New York and later, New Jersey, and keep it real. In doing so, he displayed his very real commitment to the underground. Orange Music, the studio Bill moved to in 1998 after getting priced out of rapidly-gentrifying Greenpoint, Brooklyn, has a storied history of its own. Supposedly built in the late 60s for Franki Valli and the Four Seasons, it was originally called Vantone Studio. 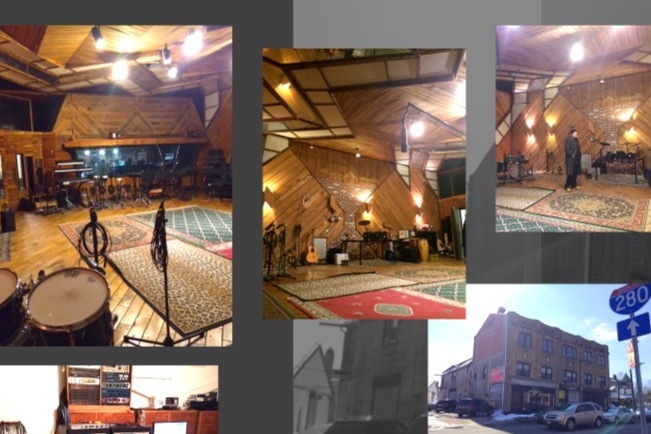 In the 70s, groups like Jethro Tull, Humble Pie, Brooklyn Bridge, and Carole King recorded there. In the 80s, the studio was renamed Grand Slam Studios and hosted such luminaries as Aerosmith and George Benson. When Laswell took over the studio, he brought with him his international cast of colorful characters, producing such artists as Tabla Beat Science, Sly & Robbie, Matisyahu, Bernie Worrell, and the inimitable Lee “Scratch” Perry. As a maverick in his field, he has always supported other independent artists, who, like himself, are striving for something further, deeper, and true. That’s why he allows other artists and independent labels to use the studio at reduced rates. So many stand to lose if Bill cannot hold onto Orange Music. Bill’s entire career is a powerful statement of art over commerce. Money has never been an issue, but Bill now needs your help.